Welcome to Blog Profiles. Each week, PR Newswire media relations manager Christine Cube selects an industry or subject and a handful of sites that do a good job with promoting, contributing, and blogging about the space. While Christine is on maternity leave, Mary Johnson will be filling in. Do you have a blog that deserves recognition? Tell us why on PR Newswire for Bloggers. The role of the traditional father has changed so much over the years. Dads are no longer expected to be the sole provider. You also probably don’t hear “just wait till your father gets home!” in many households anymore. 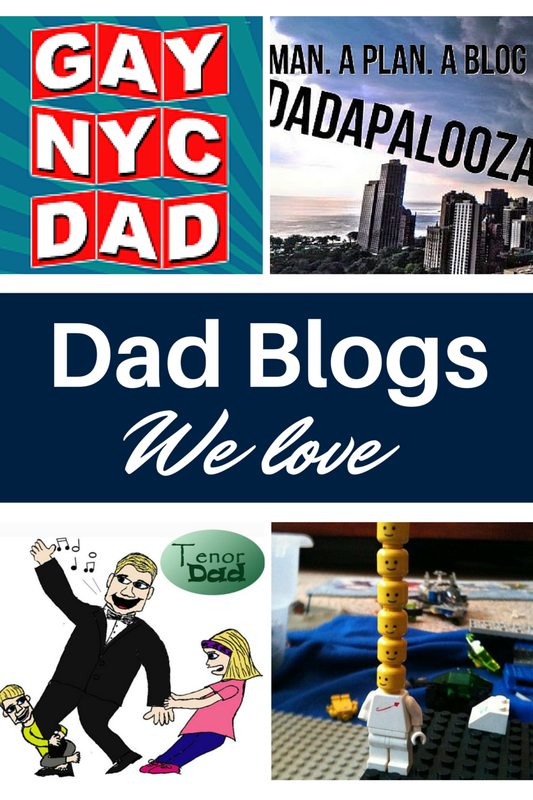 It may seem like moms are the only parent bloggers out there, but there are so many great dad bloggers, too. Since Father’s Day is coming up, we are featuring some great dads you should be following. Gay NY Dad covers everything from adoption to entertainment and so much in between. Mitch’s blog is about more than just parenting, but I truly enjoy his parenting anecdotes. Plus, he and I agree that it’s okay to room with your kid in college. As an Orange is the New Black fan, I stalked Mitch on Instagram and could not wait to get a behind the scenes look at his trip to Litchfield Prison. Did you know that parenting and being an opera singer have many of the same traits? Or, that you should never go into a bathroom without a phone? These questions, plus a list of the most underrated Phineas and Ferb songs, can be found on Tenor Dad. Tenor Dad is an opera-trained dad of two and he writes about his family and his love of music. I’m seeing a trend with dad bloggers that is not typical of many other bloggers – there are no “About Me” sections! This is driving me crazy. It is the first place I go whenever I go to a new blog. Even so, I’ve learned that DadaPalooza’s kid is as picky as my kid and, just like my kid, will eat plain toast but not buttered. We both agree that the Man with the Yellow Hat is a terrible parent, but that another dad blogger writing as if he’s the Man with the Yellow Hat is brilliant. I also discovered that there is such a thing as a Sweets and Snacks Expo and enjoyed his thoughts on trending candies. I guess there is something to this no “About Me” page. I certainly seem to know more about him now. There aren’t many pictures on this blog – it’s mainly full of conversations – but I must say that the photo and conversation about streaking with his daughter had me laughing out loud at my desk. Dad recorded a conversation his family had about suicide that tugged at my heart strings as he shared his own struggles with depression. A few weeks later, Dad did a follow-up post responding to two comments he received. One comment was from a reader with depression and combat-related PTSD who wants to commit suicide. In true dad fashion, the writer explains that he has value and encourages him to find a place in the universe. You may have also seen Dad’s Lunch Notes on Mashable. If you haven’t, you should definitely take a look. His kid was having a rough time at school, so he started making notes to put with his lunch and shared them. Finally, to all dads – Happy Father’s Day! P.S. Ever wonder how we come up with ideas for our blog profiles? Our handy list of industries and subjects on PR Newswire for Journalists stays top of mind. If you’re a blogger or journalist looking for parenting news, let us know. We can customize a newsfeed for you on PR Newswire for Journalists.